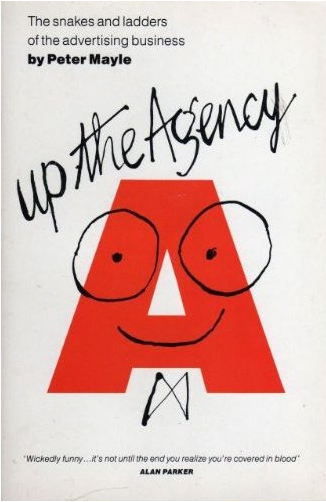 The end of the design and advertising industry in the UK – or the beginning? In this book he tells stories of fun, excess and wealth on an amazing scale, which if I’m honest, was one of the things that attracted me into the industry in the first place. But looking back at it now, it’s barely an industry I even recognise. Pack designs were done by the ‘Art Department’ – this is now an amazingly specialised discipline in it’s own right. Research was just starting to creep into play and even then he was worried that it was beginning to stifle creativity. He cites US advertising as being totally derivative and so safe that it had to be research to blame. But the most telling thing he said is about how ‘big business’ is starting to creep into the industry. It’s taking itself too seriously and this will be its downfall. Well it has and it is. If you want clear evidence of this, you only have to look at the disgraceful behaviour of Thomas Cook in the placement of their £30m media buying account. First they make loads of agencies go through an RFI process (Request for Information). An abortive one of these took me three days a few weeks ago. And then they get four agencies to pitch on the basis that they will have to save 10% on buying through media consolidation. And then, if they do win it, they will have to pay Thomas Cook – No not the other way around – a signing on fee of £1m to take up the account. Design and advertising work at their best if they create a huge appeal to their target audiences and offer them a relevant product they will enjoy. Research is creating safe ads that appeal to big boring audiences. ITV are creating more and more stupid TV to drive stupid mass audiences to their channel. If media buyers need to reach big markets cheaply and they have little time to think, or create, what choice do they have but create big safe rubbish ads that limp along like the American or worse still, global shite we see over here sometimes? Sometimes advertising can be fun and sometimes it’s more serious, but if every agency is forced into a striped suit business mentality as Mayle predicts, the power in advertising will shift again, the creativity will disappear and who knows where it will end up next? The only hope is the fightback from the smaller boutique agencies who try and concentrate on great ideas that work and allow their clients to really carve their own niche.